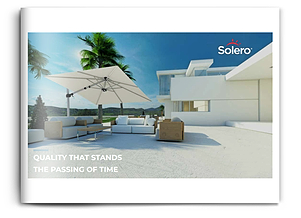 Solero parasols can be purchased at several premium sunshade and garden furniture shops in The Netherlands. By popular demand, our parasols are also offered to both consumers and the hospitality industry across borders. Our online store will allow you to order your new parasol(s) quickly and easy! Do you have any questions or remarks? Please feel free to contact us – it will be our pleasure to provide you with the answers you are looking for. Simply fill out the contact form and we’ll be in touch soon! Can you send us a photo or sketch of the location? Or do you want to receive a personal offer to have your logo printed?